A good way to promote your local web design business is to create a website providing something of value or that solves a problem in the community. Very often there will be some topic of conversation for which you can create a website and social media presence. If you do it right it will generate targeted web traffic, become an authority in its own right and give you some referral traffic and a backlink. You might not get lots of traffic, but what you do get will be targeted to your town/city. Off the back of this you could advertise your web services. By connecting with a small target audience instead of broadcasting few less effective means, it is possible to reach members of your community who may be interested in doing business with you after witnessing your skills through the community site you’ve built. My town, Ilkeston, is the largest in England without a railway station. Te station was axed in the late ’60’s in an attempt to save money. Many railway links were closed up and down the country and created issues with transport. Many towns were isolated in this manner and the local economy has suffered. This is set to change due to heavy coverage by the local press and a campaign to get a new station built. A government funding pool has been made available for transport infrastructure improvements in economically disenfranchised areas of the country. To cut a long story short, my town has made a successful bid to get some of this money. I even contacted local MPs and Councillors to gain their support and get them to make comments I could publish on the site. The website has since been updated to use WordPress so I could turn it into a multi author site publishing contributions from residents in the local community. 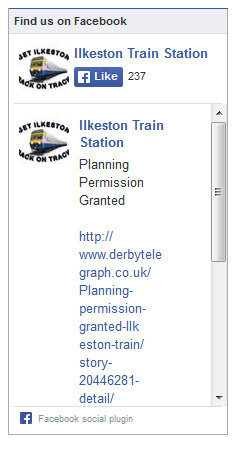 The site has been rebranded as Ilkeston Railway Station instead of Ilkeston Train Station. There is a growing Facebook following and a Twitter following. 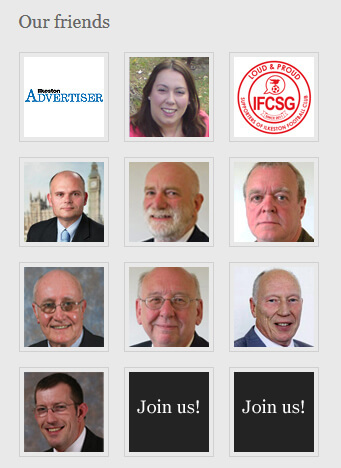 Local and BBC journalists have been in contact with me about the site. A community website project is a great opportunity to build brand awareness for something you’d like to tastefully promote. This style of community outreach can continue for as long as the railway website is up and running. Once the railway station is built, the site content can continue to report news and publish views from those using the station. The Ilkeston Web Design logo is displayed prominently on every page of the website, but there are also a few website backlinks pointing back at the Ilkeston Web Design site. You have to be careful about how you link back to other websites you own/operate because Google penalised the PBN (private blog network) SEO tactic in 2014. If you use shared hosting, for example, and all your sites are hsoted on the same IP, this tells the search engines that the same webmaster is interlinking websites. WHOIS and registrar information can reveal this too. 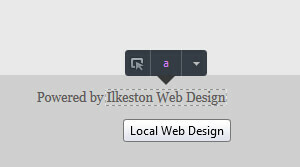 You might want to tactically use the nofollow attribute in sidebars. Using nofollow prevents one website passing authority, or “link juice” as iti s known, to another site. In WordPress, I’ve used conditional statements to nofollow certain links so it doesn’t look spammy. The other side of the coin to interlinking local websites is that they are highly relevant to one another and share a common theme. As long as you’re not aggressively building lots and lots of followed links you might be okay. The interlinking of local websites operated by a single webmaster might. in theory, mitigate the effects of what is otherwise considered spammy practice. That is just my own opinion and this could change in future. Seriously think of what you can put in to your community as a means to build visibility, familiarity and reputation. It is a talking point and a conversation starter. It is the type of thing your customers or clients might be interested in. It will add an extra dimension to your brand. If you put your mind to it, there are lots of ways to build value by creating digital marketing platforms aimed at a small, specific audience. You must identify that niche, build a useful resource around those keywords, then continually add content to it. Then, advertise your actual business off the back of this “funnel”. And remember, the fact that you have bothered to do something like this is a ready made topic of conversation you can have with potential customers. You could even make money out of this community website itself by selling advertising. On the train station site there are books for sale by local authors. I have also created a niche website where users can view Ilkeston takeaway menus for local fast food delivery businesses. They are full colour scans, up to date, and available for download or quick-view online. Although it’s quite a small thing, it has proved exceptionally useful for a lot of people in my town – a niche – which is a good road to go down if you’re testing a market for the first time. It’s also a funnel toward my local web design services and a conversation starter with clients. It lends credibility to the niche model of website marketing for local businesses because the site targets niche keywords and ranks well. Find niche pockets of demand in the local community and create something to fulfil that demand. Looks for problems you can solve. Not only does this give you marketing experience, it builds your web design portfolio, acts as a great case study and teaches you how to handle a website community. If you want inspiration, read a book like Poke the Box or Tribes by Seth Godin.